An American working at a top US law firm in London was spared jail after getting so drunk on a transatlantic flight the pilot was forced to return to Heathrow. 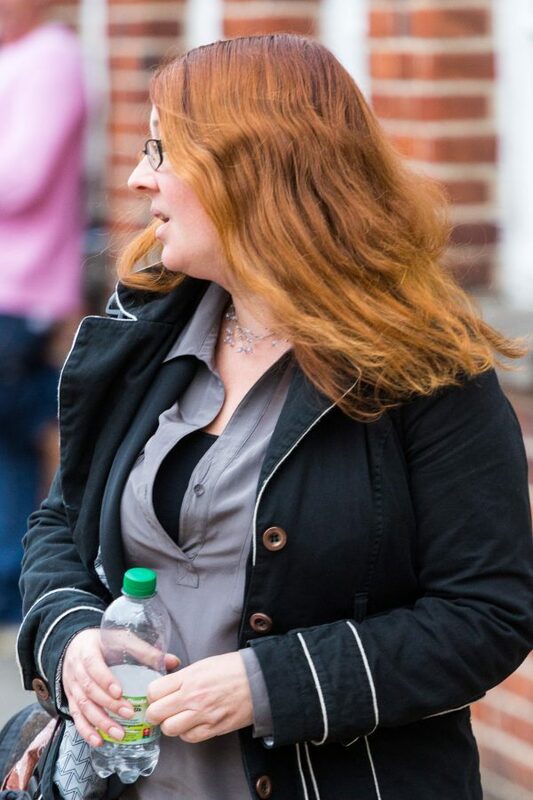 Michelle Vanbuskirk, 43, started drinking before she even boarded the Washington DC bound flight and then swigged from a gin bottle and repeatedly banged on the TV screen in the back of the seat in front. One United Airlines passenger asked “incoherent and slurring” Vanbuskirk to stop, saying she suffered from anxiety attacks and was anxious about flying but she didn’t. When the gin was confiscated by stewardess Porsha Chaplain, the computer forensic manager began swearing and screaming before cabin crew asked her to move. She agreed to be escorted to the rear if she was allowed to inspect the seats but then began banging on the exit door before passing out. As she came to she kicked out hitting passenger and nurse Emily Menninger who went to help in the stomach and Ms Chaplain in the shins before she was restrained. Fearing for the safety of the Boeing 787-8 Dreamliner with 209 passengers on board, the captain turned back as it passed over southern Ireland – about an hour into the journey, wasting £4,000 of fuel. The disembarked passengers had to stay overnight in London before flying out the next day. “Chronic” Valium user Vanbuskirk had a fear of flying after another United Airlines aircraft suffered a double engine blow out and went int free fall 13 years before the incident on Sunday September 23rd last year. She pleaded guilty to being drunk on board an aircraft and assaulting Ms Chaplain when she appeared at Isleworth Crown Court last November. She denied assaulting Ms Menninger, and causing another alarm or distress, which was accepted by the prosecution. On top of being ordered to pay £3,000 compensation to Ms Chaplain, £1,000 to Ms Menninger and £1,500 costs, Ms Chaplain could face a higher bill if the airliner sues her. Outlining the case she said: “There was slight delay to the flight. “Passengers sitting next to Ms Vanbuskirk noticed that she appeared to be in a state of anxiety, she was banging the seat in front of her and eating food very fast. “She was drinking from a bottle she had brought onto the plane. “She appeared to be heavily under the influence of alcohol, her speech was slurred and she was incoherent. “After the plane took off concerns were raised and when Ms Chaplain was doing the inflight service she took the bottle of gin away. “Ms Vanbuskirk then became aggressive and abusive to passengers and cabin crew. “She was swearing and shouting in their faces, accusing passengers of having reported her. “Ms Chaplain relocated the passengers from around where she was sitting. Ms Viney added: “She continued swearing and shouting at those around her. “She was unsteady on her feet by this stage and was asked to sit down in the jump seat. “But she started banging on the exit door while swearing and behaving erratically. “She then passed out and was caught by Ms Chaplain. “Cabin crew then called for medical assistance and Emily Menninger, a nurse, came to help. “She asked Ms Vanbuskirk if she had taken anything else, to which she said she had just had alcohol. “She was swearing at the nurse and as she was flailing she kicked her in the stomach. “She also hit Ms Chaplain in the shin. “The decision was made to restrain her , she was coming in and out of consciousness. “Her arms were restrained behind her back. “She was then restrained by her legs because she was trying to kick out. “The pilot was informed and the decision was made to turn the flight around and go back to Heathrow, at the cost of £4,000 in fuel. “It caused a considerable delay those on board. “When the flight landed police were called. Defending, Mark Kimsey argued his client faced losing her job and being deported if imprisoned and she had a diagnosed panic disorder and a phobia of planes because of the previous incident. Mr Kimsey said: “It was never her intention to be drunk on that flight, it was never her intention to have the plane turn around. “She is extremely ashamed of what happened, remorseful and fully aware of the inconvenience caused to cabin crew and passengers. “She has a phobia of flying. “She was very anxious she thought if she drank it would relax her. It was a coping mechanism. He said she had “glowing” character references from work colleagues. Mr Kimsey said: “In 2005, she was a passenger on a flight when there was a huge explosion. “They initially thought it may have been a terrorist attack. “It turned out to be a double engine blowout and the plane went into free fall and had an emergency landing. Sentencing Judge Curtis Raleigh said: “A prison sentence is almost inevitable with the sentencing guidelines so that is the starting point. “But I have to take into account mitigation. “You take anti-anxiety medication for a diagnosed panic disorder. “You work colleagues and friends have called you a hard worker, generous, kind and warmhearted. “The assault on board was reckless rather than deliberate. “You have a prestigious job… if you are put into prison you will lose your job, be deported and banned from the UK. “The behaviour is totally out of character for you. 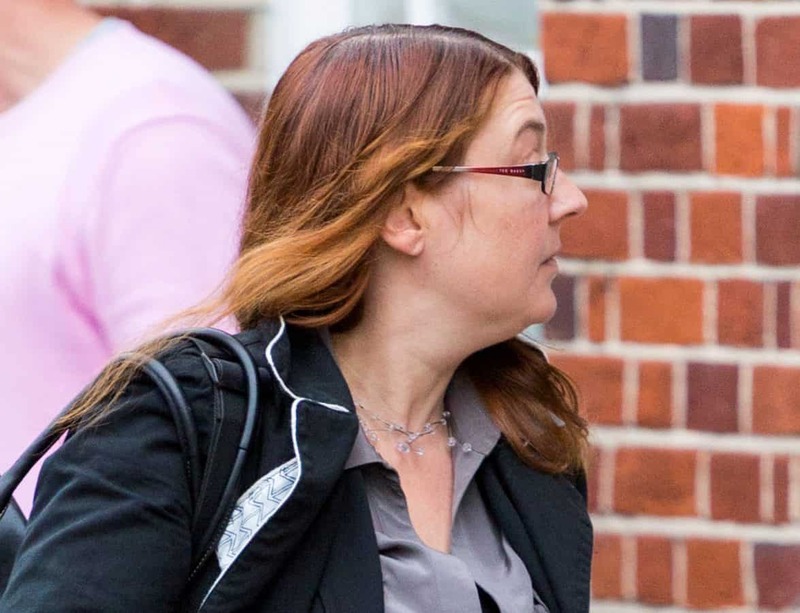 Vanbuskirk, of Camden, north London, was sentenced to six months for being drunk on an aircraft suspended for 12 months, and four months for assaulting Ms Chaplain also suspended, both to run concurrent. She was also ordered to do 100 hours unpaid work and she wept outside court in the arms of her partner and thanked her lawyer profusely.